Welcome to Day #14 of Chocolate and Peru Theme Week. 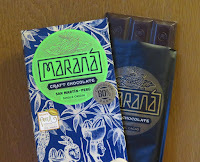 Today's Marana Craft Chocolate San Martin Peru 80% Dark Chocolate bar was made "in country" by Cacao Valley E.I.R.L. (Lima, Peru). San Martin, located in north central Peru is one of 10 major cacao-growing regions in the country. 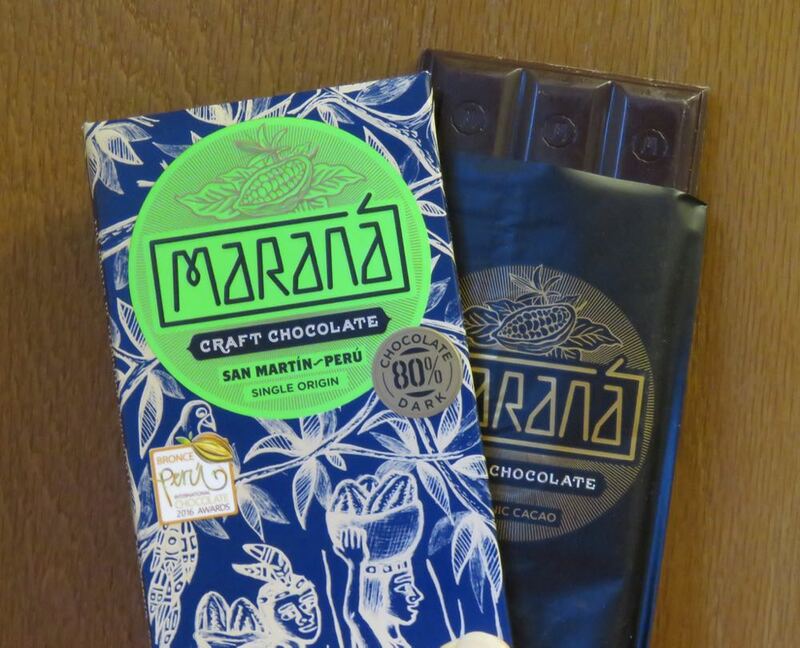 This chocolate was made using the "Amazonica" variety of cacao beans from Tarapoto. The bar had a pleasant aroma with green and fruit notes. The first bite yielded a bloom of flavor with more fruit acidity—and a slightly astringent (drying, almost granular) mouthfeel. The flavor was complex, fruity with faint green, sour milk and coconut notes.